Anxiety Tip #4: Listen to music. When I am feeling particularly anxious, my headphones are my best friend. They let me escape whatever triggered my anxiety, and allow me to calm down at my own pace. I usually listen to very calming music, turn down all the lights in my room, and sit on my bed for however long it takes me to calm down. I find this one of the most successful ways of soothing my anxiety and it is a technique I use regularly. 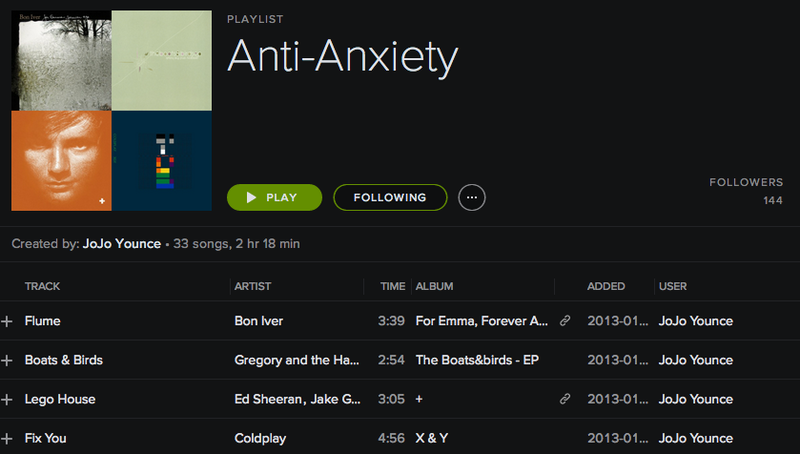 1) The “Anti-Anxiety” playlist by JoJo Younce. 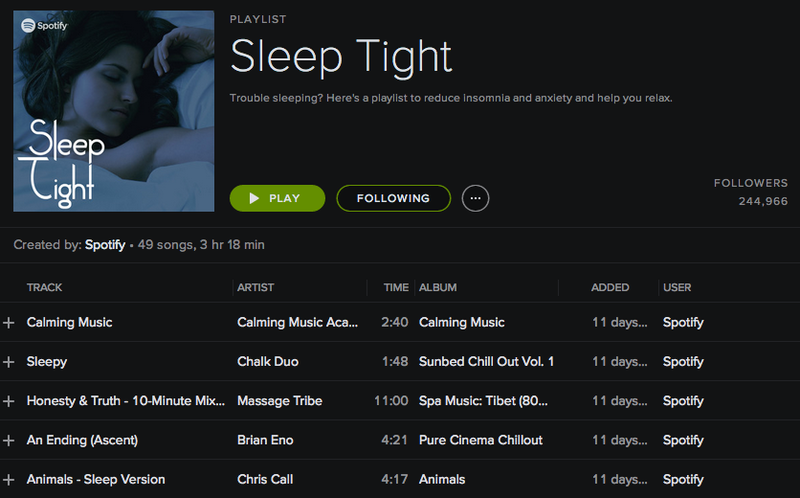 2) The “Sleep Tight” playlist by Spotify – I use this playlist particularly when I can’t sleep due to my anxiety. 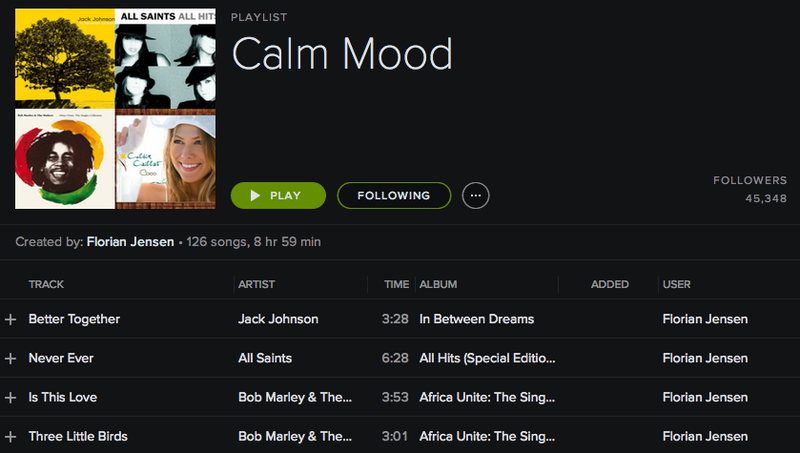 3) The “Calm Mood” playlist by Florian Jensen. There are many playlists on Spotify that help induce a calm mood, so have a look around and find one that you feel suits you best. Also note that not everyone finds soothing music helpful to battle their anxiety. In the past I have also used heavy metal music to calm myself down, and I felt that it completely cleared my head, and therefore made me feel calmer. To some this might seem strange (the juxtaposition of heavy metal music and calmness), but as long as it works for you, there is nothing strange about it. I have made it routine to listen to my favorite calming music for at least 30 minutes each day. I have substituted TV time with music listening time, and I suggest it to anyone struggling with anxiety. Music has the power to change our moods, so let it work it’s magic on you. Have you found listening to music to sooth you anxiety? 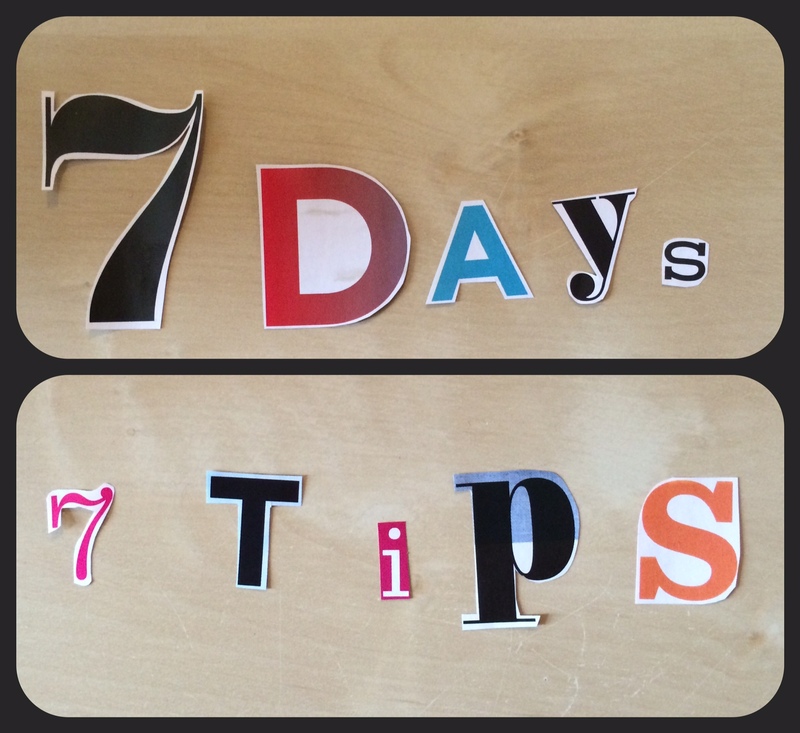 Check back tomorrow for the next tip! Hi – just wanted to let you know that I checked out your anxiety tips, and they’re all super helpful! Thank you for sharing what’s worked best for you 🙂 Check out my blog if you want – I have a few posts about managing anxiety as well. Hey! Thank you so much, happy to hear that you’ve found them useful 🙂 I would love to check out your blog but can’t seem to find a link to it anywhere on your profile? Really interested in reading your anxiety related posts! Hi, I was wondering if you had a picture or know the remaining songs of the sleep tight playlist. I reeeaallly loved the songs on that playlist and they helped me a great deal with sleeping. Over the years spotify changed the songs on that playlist and I can only remember a few of them and like to find all the ones that helped me sleep. I appreciate this post and your help! Thank you!